Tonight I asked my students to write about a book they have read recently for their entry in their Learning at Home (LAH) notebooks. 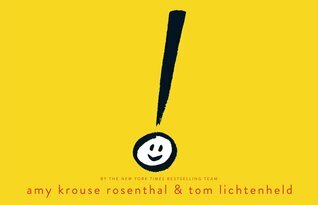 I asked them to tell a bit about what the book is about, include big ideas and concepts the book brings up, and make a recommendation about whether or not their classmates (or me) should read the book. So…I think I’ll take that same writing invitation. I’ve been carrying a book around in my teaching bag that I plan to use with my students one of these days. Dad’s Camera by Ross Watkins grabbed my attention a year or so ago, before it was available here in the United States. I’m always interested in books about photography, so when this one became available, I was quick to purchase it. While this book is a children’s picture book, it is not really a book for children. This book tackles the heavy topic of Alzheimer’s disease and the confusion and devastation that families face as they deal with it. 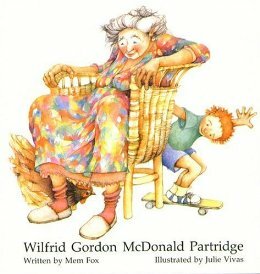 The author describes this book as a tool for opening up conversations with children…and with adults to talk about Alzheimer’s. I love the idea of photography as activism. In this case, the book uses photographs as a way to talk about memories and memory loss. The dad photographs ordinary things, things most people don’t photograph. “Dad took photos of the things he didn’t want to forget.” What he didn’t take photos of were his family, much to the frustration of the mom in the story. Although this is not a typical children’s book, it is one I plan to use in my classroom. I want to use it along with some other books about photographers, including Ansel Adams and Dorothea Lange who both used photography as a ways to shed light on issues they were passionate about. How can we use our own passions and art, like photography, to make the world a better place…in ways big and small? I think I’ll have more to say about this book and what happens in my classroom once I take this ideas from seed to implementation! This entry was posted in book review, clmooc, Slice of Life and tagged Alzheimer's disease, Children, Dad's Camera, photography, Picture book, review on March 26, 2019 by kd0602. One Word from Sophia, it’s Destiny! Sometimes you know at first sight that you were destined to meet. That happened to me today. The SDAWP Summer Institute (SI) is in full swing, which means my head is full and my schedule is packed. 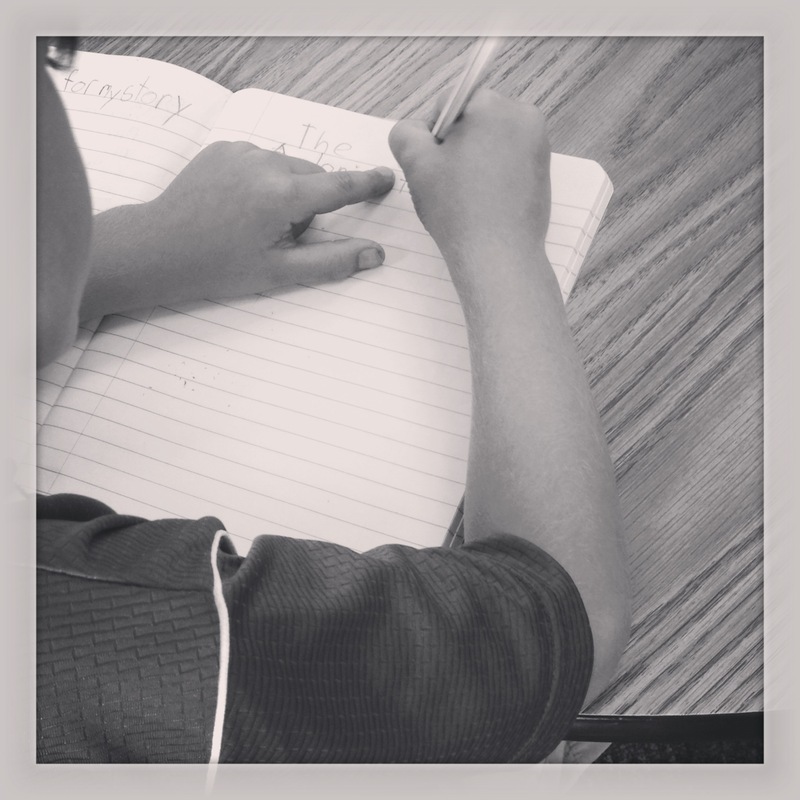 There is lots of reading and writing and thinking and talking going on…and I love it. Today at lunch I had a few minutes to myself, so I headed off to the coffee shop to treat myself to a latte. When I walked in and saw that there was no line, I immediately thought–jackpot! I can take a few minutes and walk through the bookstore, just to look. 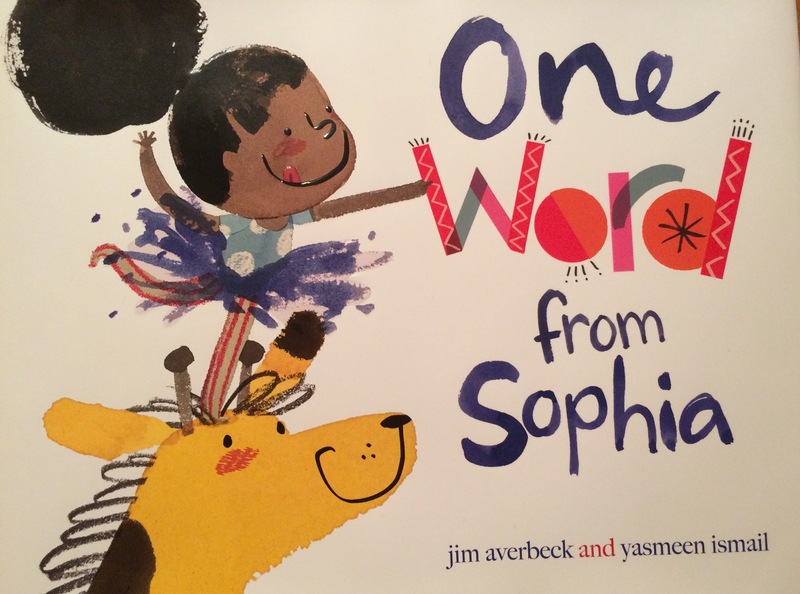 One Word from Sophia by Jim Averbeck and Yasmeen Ismail grabbed me and wouldn’t let go! I was drawn in by this brilliant little girl who knows what she wants…and has a plan to get it. Sophia’s birthday was coming up, and she had five things on her mind–One True Desire and four problems. This girl is a student of rhetoric and knows how to make an argument. She knows her audience and how to tailor her reasoning and evidence (love the variety and types!) to convince. And she takes her feedback as information essential for revision and iteration. I don’t want to spoil the story by giving away all the details here…but if you are a teacher of writing, of argument, of debate…or just love a great story…you will want to read and study and probably even own this book! And there’s more…rich vocabulary, compelling characters, and a surprising ending. And this is not a book just for children. I can see community college instructors using this book in their composition classes and kindergarten teachers too. And you don’t have to be a teacher…this is a book for readers and definitely for writers. I think this will be a relationship that will endure…right now, it’s love at first sight! This entry was posted in book review, clmooc and tagged argument, diversity, evidence, learning, revision, rhetoric, teaching, writing on July 1, 2015 by kd0602. Airplanes are great places to get some serious reading done. The forced sitting, no access to the internet, no television…make perfect conditions for finishing that book I’ve been wanting to get back to! 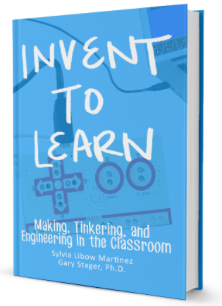 Invent to Learn: Making, Tinkering, and Engineering in the Classroom by Sylvia Libow Martinez and Gary Stager is a book I’ve been wanting to read since I first heard about it last summer. I started it a while back and got about half way through it before my overflowing to-do list pushed it back behind a pile too high to see over. And okay, I admit, I did sneak a bit of “junk food” novel reading in there too! Anyway, I got back to Invent to Learn last week and remembered all the reasons I wanted to read this book. One of the things I appreciate most about this book is the theoretical foundation it lays down at the beginning. I like the historical context of the Maker Movement and seeing where my own beliefs and learning experiences fit into it. I also like the way that it extends making to include building with cardboard and other “old school” examples but also makes a case for including computers and digital technologies as well as electronics, circuitry, movie making and more. In lots of ways this book confirms practices I already value and reminds me that messiness and time are essential elements of the learning process–not indicators of failure. But, in spite of all my interest and good intentions to include a makerspace in my classroom, I haven’t gotten there yet. We have done making and worked to help our students experience and understand iterative processes. They have “made” with paper, with fabric and thread, and with digital programming. So what are my obstacles? Time is the big one. I’m still figuring out how to balance the demands of curriculum, traditional learning expectations, and the value of making within the school day. So I’m trying to be patient with baby steps, carving out small but consistent opportunities for making (of all types). I encourage you to read Invent to Learn–definitely the first half–to think about why making and tinkering and engineering are such valuable practices for the classroom. And then I would love to know more about how you will implement some version of making in your classroom. What works for you? This entry was posted in book review, making and tagged constructionism, Invent to Learn, makerspace, nwp ianthology on March 10, 2014 by kd0602. Today was a sorting and categorizing kind of day in my classroom. 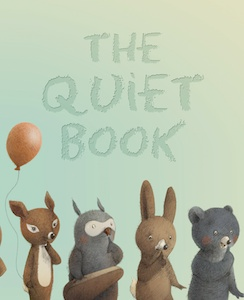 Yesterday we read The Quiet Book by Deborah Underwood. Last one to get picked up from school quiet. Swimming underwater quiet. Pretending you’re invisible quiet. Lollipop quiet. First look at your new haircut quiet. Sleeping sister quiet. Then we asked our students to think about the best kinds of quiet they have experienced. They had so many wonderful ideas including things like lost in a good book quiet, waking up before everyone else quiet, playing your favorite video game quiet, watching your favorite cartoon on television quiet… They wrote their best kind of quiet on an index card before the end of the day. And as a class we were able to narrow their categories down to four that we will use to create a class graph of our best kinds of quiet tomorrow. Can’t wait to see what the data tells us! What’s your best kind of quiet? This entry was posted in book review, Connected Learning, making, mentor text, teaching, writing and tagged Ann Morris, book review, categorizing, collaboration, connected learning, Deborah Underwood, mentor text, Quiet Book, Shoes Shoes Shoes, sorting, writing on September 4, 2013 by kd0602.